Since time immemorial, milk has been associated with good health, making it one of the most consumed liquids. This is thanks to its many vitamins and nutrients which are essential to the body’s health. Here are eight benefits of drinking milk. Milk is the best source of calcium for the human body. Calcium protects the body from major chronic ailments such as cancer, bone loss, arthritic conditions, migraine headaches, pre-menstrual syndrome, and obesity in children. Although most of the focus of calcium is on bones, it has also been shown to reduce cardiovascular disease and the chances of strokes. Two long-term studies in Japan have shown a positive correlation between daily calcium intake and a reduction in stroke, atherosclerosis, and cardiovascular disease. As mentioned above, milk is rich in calcium, which is essential for growth and the proper development of a strong bone structure. Bone disorders such as osteoporosis can be prevented with a significant daily intake of milk. Encouraging children and youngsters to drink milk will give them excellent dental health, as it protects the enamel surface against acidic substances. Drinking milk for energy and health would also lessen the frequency of children consuming soft drinks, thus reducing the risk of decaying teeth and weak gums. Fluids are an integral part of the human body, and the body needs to be frequently replenished with liquids. Water is essential for growing children and they must drink at least six to eight glasses of fluid every day. Milk contains a good quantity of water molecules and is considered the best fluid for rehydration, outside of drinking actual water. Consumption of milk products can also help in reducing acidity throughout the body. 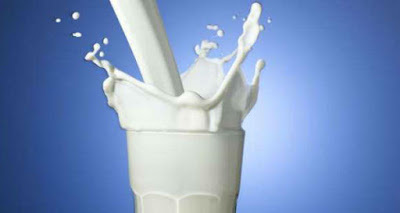 Drinking cold milk specifically provides relief from acidity. It contains many vitamins and minerals to keep you fit, healthy and strong. A full glass of milk contains vitamins A and B for good eyesight and increasing red blood cell count; carbohydrates for vitality and energy; potassium for proper nerve function; magnesium for muscular function; phosphorous for energy release, and proteins for body repair and growth. It also keeps your body functioning at a youthful level as you get older. Intake of milk may also provide relief to those suffering from colon cancer. A new study suggests that a diet rich in dairy products may slightly extend lives of people diagnosed with colon cancer.